Years ago, social media accounts were just nice to have for college sports information departments, which were more concerned with assisting the media. It’s still important for SIDs to give sports writers and broadcasters access and extensive information. But social media has become a big part of the job, and is now front and center. Unlike many Twitter posts, all the content is visually relevant. Then again, most Twitter users only have a library of random GIFs to use and don’t have the backing of creative services designers, collaborators, photographers and videographers. Social media is a key tool to provide fans with content. Increasingly, though, the bigger priority is for it to be a recruiting tool — to lure the best high school athletes to their programs and convince fans to buy season tickets. “I think the main goal is recruiting,” said Dana Reynolds, the director of social and digital media for athletics at North Carolina. Since Instagram is very popular among young people, it’s a key way for college programs to get their messages out to recruits deciding where they want to play. Since those high school kids sometimes have short attention spans, it’s important to get their attention before they move on to something else. The @dukembb Instagram account has more than 946,300 followers (compared to more than 734,300 for @alabamafbl and more than 432,500 for @clemsonfb) and the school hopes to reach a million this year. The @unc_basketball Instagram account is at more than 305,500 followers, with more than 35,100 followers of @packmensbball on Instagram. Ideal timing of posts can vary by the platform. Kids love to keep up with the latest shoes players are wearing. So, it might not be a big surprise that the most engagement of any @unc_basketball Instagram post in in the last year was a photo of Coach Roy Williams wearing off-white Air Jordan 1s before the Tar Heels’ home win over Virginia Tech last month. “It got picked up by everybody,” Reynolds said. “That became a viral moment for us. And that gets us in front of different teenagers and sneakerheads and people who listen to music because music and fashion kind of go together. Being timely is important, and that means content generators need to be constantly ready. 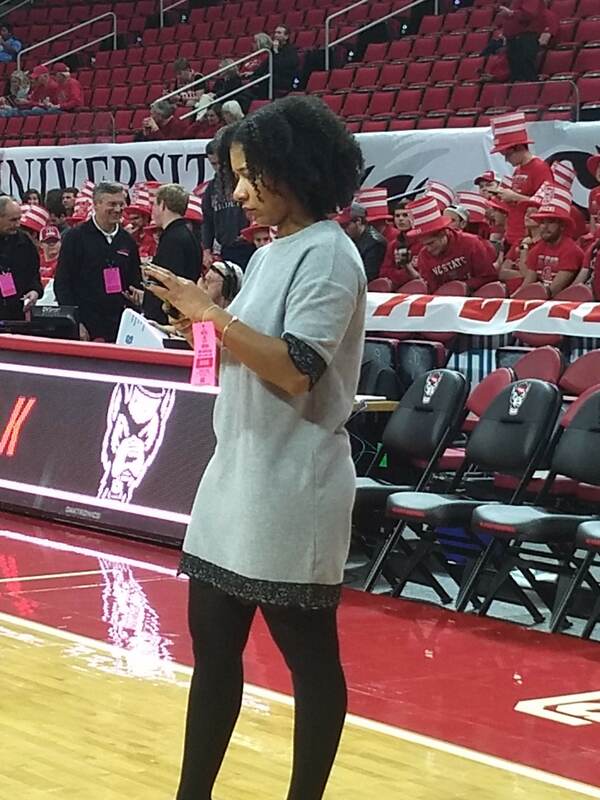 That’s true for Reynolds, who is in her first season exclusively making all UNC’s men’s basketball account posts and going to every game, home and away. Friday, not long after Julius Peppers announced his retirement from the NFL, UNC posted a split-screen video on UNC’s football and men’s basketball Instagram accounts showing him making plays for UNC in basketball and football. How do they make posts stand out? There are many do’s and don’ts when you consider that so many posts clog users’ timelines. Reynolds says that statistics and notes are still as important as they were a few years ago. Sometimes witty words can draw attention, though, as Zach Seidel proved during the first weekend of last season’s NCAA tournament. He runs @UMBCAthletics, and was praised for his tweets during and after No. 16-seed Maryland-Baltimore County’s historic upset of No. 1 Virginia. But the people who enjoyed those tweets might not be the target audience for most college athletics Twitter accounts. Most sports-specific social-media accounts at the Triangle’s ACC schools are run by that sport’s primary sports-information contact or an assistant, which is the case for every N.C. State sport. Reynolds with men’s basketball is the only exception at UNC. At Duke, the exceptions are in men’s basketball (David Bradley), women’s basketball (Selena Castillo) and football (McNamara), all of whom are at every game, home and away. 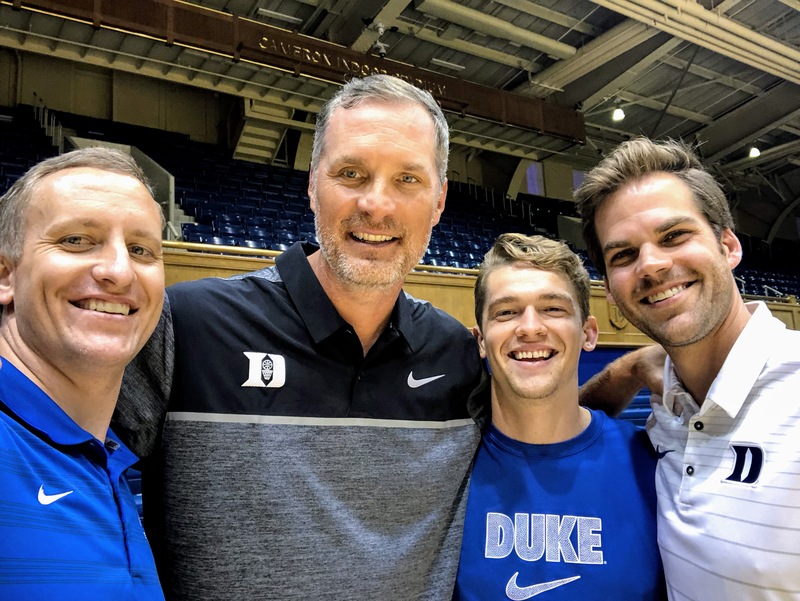 Bradley (at left in below photo with Christian Laettner, Stephen Broome, the creative coordinator for men’s basketball, and Nolan Elingburg, the associate director of Blue Devil Network) came to Duke in 2004 and has handled or managed the men’s basketball social media accounts since their inceptions. Bradley has been the program’s recruiting and communications coordinator and director of basketball operations and now is its creative director. Duke’s creative team team with a guy who might have gone viral a few times back in the day. Castillo handles all the social media accounts for the Blue Devils’ women’s program and is in her second season as the team’s content development specialist. The sports social media account with a following that towers above all others in the area, and is a behemoth in college sports, is @DukeMBB, a Twitter account with more than 2.2 million followers. 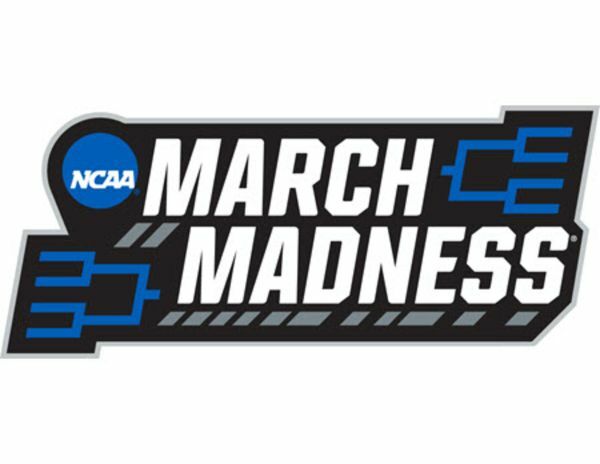 @UNC_Basketball, at nearly 950,900, tops such accounts as @KUHoops (nearly 932,700), @ClemsonFB (more than 918,400), @AlabamaFTBL (more than 882,100) and @KentuckyMBB (more than 765,900), but doesn’t approach Duke’s men’s basketball following. A quick aside for those who say that our state doesn’t care about hockey: The only Twitter accounts for the three schools with a better following than @NHLCanes’ nearly 369,700 are the men’s basketball accounts at Duke and UNC. Pro football is still king, though: @Panthers tops all of them with more than 3 million followers. How do you explain @DukeMBB’s popularity? Before the 2016-17 season, the name of the popular @DukeBluePlanet account Bradley ran for the team was changed to @DukeMBB and took over the existing account by that name that had been run by Duke Sports Information. Bradley took over @DukeMBB and it reached one million followers shortly after the change. The previous iteration of @DukeMBB re-emerged as @DukeMBBStats, which Sports Information runs, and has more than 101,200 followers. It is more like @ESPNStatsInfo, posting statistical nuggets and box scores. There still could be some confusion, though, considering that The Chronicle, Duke’s student newspaper, tweets about men’s hoops from the @dukebasketball account. It’s smart branding considering it has 141,100 followers compared to nearly 14,600 for @DukeChronicle. @DukeMBB posts are a mix of videos, photos, GIFs and graphics. While Duke loves to have the follower counts go so high, that’s not the most important metric. Duke measures interactions and engagement using CrowdTangle. There are main athletics accounts at all schools on Twitter, Facebook, Instagram and YouTube. UNC and Duke also have Snapchat accounts. Of the general athletics Twitter accounts, UNC’s @GoHeels (more than 270,300) has the most followers (@PackAthletics has nearly 84,500 and @DukeATHLETICS has more than 38,700). @goheels, at nearly 142,900, also has more followers on Instagram, but @dukeathletics (more than 81,600) tops @packathletics (nearly 30,000) on that platform. For sports all three schools field, UNC has the most followers on Twitter for nine accounts (football, women’s basketball, baseball, men’s soccer, women’s soccer, track and field, men’s tennis, women’s tennis and soccer), N.C. State has the most in three sports (swimming and diving, wrestling and men’s golf) and Duke leads in two (men’s basketball and women’s golf). Another pro sports aside: the @DurhamBulls account (nearly 70,000) has more followers than any of the schools’ baseball accounts (the highest total is @DiamondHeels at more than 61,700) and the @CarolinaMudcats (more than 14,100) account has fewer (the fewest for an area ACC college baseball accounts is @DukeBASE at more than 20,800). Why does UNC consistently have the most followers in the most sports? She says that keeping UNC’s branding consistent through all accounts is important. After nearly four years as the social media coordinator at Vanderbilt, her undergraduate alma mater, Reynolds joined Carolina Athletics in November 2016. There is a lot of work behind each post on Twitter and Instagram, including sifting through the extensive information from Steve Kirshner and Matt Bowers of UNC Athletic Communications. Reynolds’ arrival allowed others in the Athletics department to concentrate on other duties. Coach Roy Williams hasn’t hidden the fact that he knows little about Twitter and has no intention of tweeting. But his voice still ends up on social media. Reynolds oversees all UNC Athletics social media accounts to make sure they are strategically sound and on brand. She and her interns run @GoHeels and the UNC Athletics Facebook account. At Duke, McNamara posts to the main Duke Athletics accounts on Facebook, Twitter, Instagram, Snapchat and YouTube in addition to the football accounts. She says that a team behind her keeps the content fresh by trying different things. One video for the football account, a spoof on “The Bachelor,” created a lot of buzz. McNamara says that one of the social media goals at Duke is to tell the story of the athletes away from the court or the field. 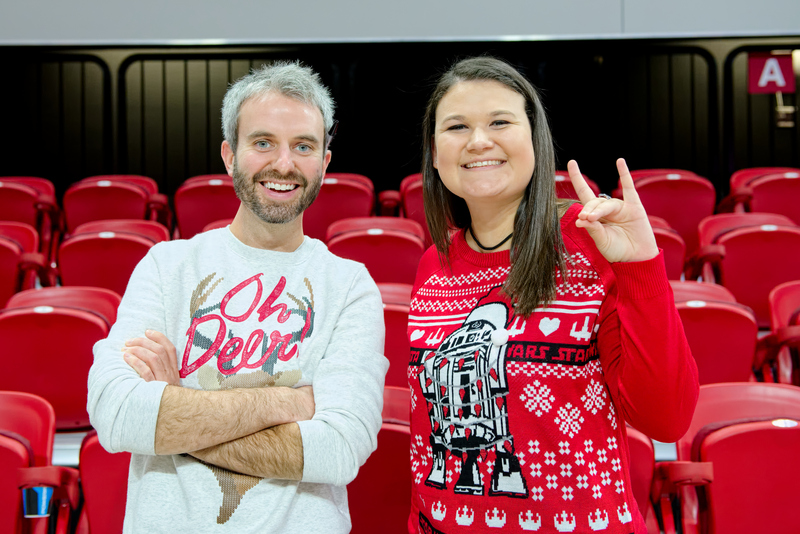 At N.C. State, Compton and Smith (in below photo), a UNC graduate, handle the main Athletics accounts and work with the marketing department on promotions and giveaways. Smith runs the accounts and is the primary media contact for cross country, swimming and diving and men’s tennis. One of its videos posted on Facebook during Military Appreciation Day last season showed a veteran getting a special surprise. We had a special surprise for an American hero at the men's basketball Military Appreciation game today in partnership with Operation: Coming Home. Compton first dealt with social media as an intern at Ohio University during the 2008–09 school year while he was an undergraduate there. A middle-of-the-night post from a Miami club in 2010 from UNC player Marvin Austin helped ignite an NCAA investigation. So, obviously damage can be done by athletes on Twitter. None of the schools have dealt with anything quite like that since then, though. At UNC, the Student-Athlete Development department advises the players on do’s and don’ts. The other schools also have sessions advising athletes about using social media. UNC (INFLCR) and Duke (opendorse) use cloud-based systems that allow athletes easy access to photos, graphics and videos that they can use on their personal social-media accounts. Reynolds said the system uploads videos and photos to individual galleries, and players are tagged and get texts alerting them to when content that includes them is available. In an email message sent Friday, CEO Craig Forman offered early-retirement buyouts to about 450 McClatchy Company employees, including a good number at The News & Observer and The Herald-Sun. That group was expected to include all employees who have been with the company at least 10 years and are at least 55 years old. 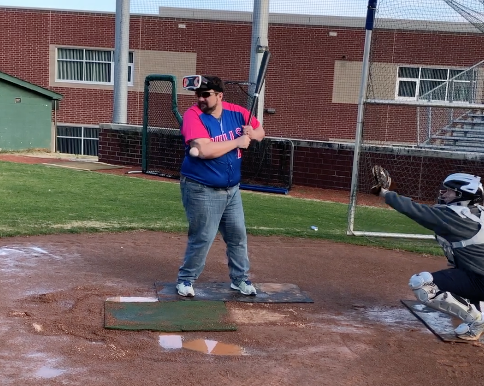 The only members of the sports staff who fall into that category and likely got offers are Sports Editor Steve Ruinsky and Carolina Hurricanes beat writer Chip Alexander. According to Forman’s email, employees offered “voluntary early retirement” have until Feb. 19 to decide if they want to participate. Those employees are being given the chance be part of webinars and consult with human resources (which McClatchy calls the People team) to help them decide if the offer would be right for them. Employees were told that the early retirement offer is a one-time opportunity and to not expect another such program. The news prompted Jane Elizabeth, the managing editor of The N&O and The Herald-Sun, to write an interesting Twitter thread. It conveyed that despite difficult times and the “haters,” the newsroom is determined to persevere and stay committed to good journalism. For more than 22 years, Jayski.com was the place many NASCAR fans could count on for insights and breaking news about stock-car racing. That site, which ESPN acquired in 2007, shut down late last month. Jay Adamczyk started the site in August 1996, reporting on NASCAR news, TV ratings, rumors, statistics and frequently posting photos of cars. It’s another blow to a sport that continues to trend in the wrong direction. Way before Todd Gurley played in the Super Bowl, he got his start in football at perennial state power Tarboro High School. On si.com, Jonathan Jones wrote about Gurley’s humble upbringing and how he thrived in the Vikings’ run-oriented T offense that is full of misdirection. In announcing his retirement in The Players Tribune, Peppers reflects on his career and a key decision he made while at UNC: Asking the coaches to move him from tight end to the defensive line. In The Virginian-Pilot and Daily Press, Norm Wood wrote about Virginia’s Jay Huff, who grew up in Durham as a Duke fan but is starting to make an impact for the Cavaliers. Which one is which is up for debate. But Duke freshman stars Zion Williamson and RJ Barrett are described by Coach Mike Krzyzewski as “Frick and Frack” because they goof around so often. They’ve also developed quite a bit of chemistry on and off the court, as Dana O’Neil writes in The Athletic. Fans get to enjoy Zion Williamson’s game but don’t have the access to enjoy the show he puts on before the media after most games. News & Observer and Herald-Sun columnist Luke DeCock provided some insights on that and the star’s personality in general. In The Athletic, Joseph Person wrote about a painful play in Carolina Panthers history: the Super Bowl pass to Jerricho Cotchery that wasn’t ruled a catch. In The N&O and Herald-Sun, Joe Giglio wrote about one reason that an undersized N.C. State team still can get inside production: DJ Funderburk.